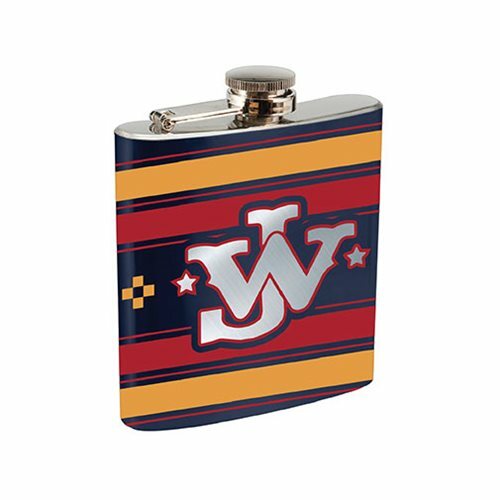 John Wayne fans can show their pride as they carry their spirit of choice in a stylish and spill-proof John Wayne 6 oz. Stainless Steel Flask. An ideal gift item that comes in an elegant gift box. Measures roughly 4 1/2-inches tall. Comes in a embossed gift box. Hand wash only. Not dishwasher safe.